Highways Magazine is fortunate to have assembled a group of highly experienced experts from different sectors of the industry to make up its editorial advisory board. Haydn has broad experience of highways and transportation in the public and private sectors. He started in local government with a county before moving to a London borough. He went to the private sector in the 1980s and enjoyed a successful and varied career to director level; working in the UK and abroad. He returned from a spell in the Middle East to join the civil service as the transport lead for the government office for the east of England. 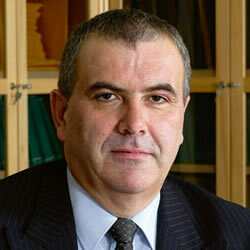 In 2011 he moved to the Department for Transport (DfT). He led for transport on the government’s policies for localism and decentralisation, advising particularly on the Localism Bill. With the Bill an Act he took over as programme manager for the DfT sponsored Highways Maintenance Efficiency Programme (HMEP) in autumn 2011. He is also the DfT’s champion on rural transport policy. Haydn is a member of the Chartered Institution of Highways and Transportation (CIHT). He holds a Masters Degree in transportation and is a Prince2 practitioner. Andy is head of asset operations at Transport for London (TfL) and leads a team of around 170 providing a 24/7 operational service. He is responsible for routine and reactive maintenance for surface assets including highways, structures and tunnels, traffic infrastructure and bus infrastructure. 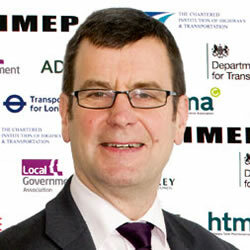 Prior to this he has held various other roles at TfL including head of LoHAC performance and delivery. In this role he was responsible for the management of the four London Highway alliance Contracts (LoHAC) and for the delivery of Transport for London's capital renewal programme. Robinson has been involved with the roads maintenance industry for nearly 30 years having held senior positions with Tarmac Group, Wimpey Minerals and Nynas Bitumen during this time. He represents the RSTA on various BSI committees dealing with road materials and is the UK technical expert on CEN committee TC227 WG2 which produces and updates European Product Standards for surface dressing and slurry surfacings. Robinson is the chairman of National Highway Sector Scheme 13 (NHSS13) technical advisory committee for the supply and application of surface treatments to road surfaces and secretary to NHSS23 for small scale pavement repairs. He represents RSTA on the UK Pavement Liaison Group (UKPLG) chaired by Highways England dealing with updates to the Design Manual and Specification for Highway Works and attends HiTAC (Highway Technical Advisory Committee) which deals with HAPAS product certification schemes. Robinson has been actively involved with industry level research and development since entering the construction industry in 1985 with over 30 papers published relating to bitumen, asphalt, concrete, recycling, industrial slag materials and road surface treatments. He has also presented at numerous UK and European industry conferences and has had several patents granted in the field of aggregates and asphalt. 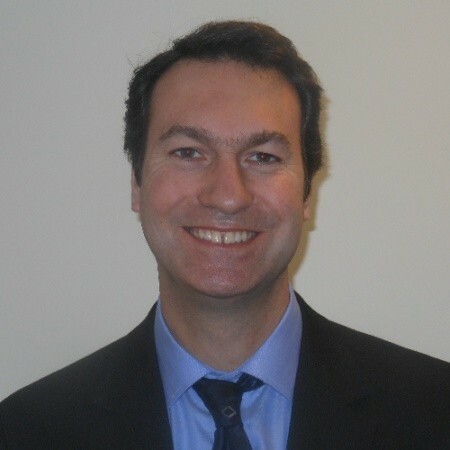 Richard is a freelance consultant practising in highway and asset management. He is also a trainer in these subjects. He was previously the western area manager for Northumberland County Council and was responsible for an area of 2,468 square kilometres based around the town of Hexham. He was also responsible for the county’s construction division which delivers capital works on highways structure and street lighting. He has been with the county council since 2003 and before moving to Northumberland, he worked for Stockton on Tees Borough Council for 25 years in highways maintenance. 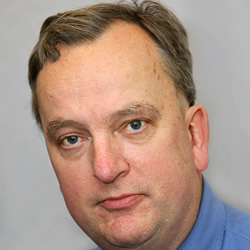 Richard joined the Institute Council in 2004, initially as one of the first graduate and student representatives, before being elected a full member in 2007. He is now chief executive of the Institute of Highway Engineers (IHE) and represents the Institute on several external bodies. Richard also contributes to its work on highway and winter maintenance training and competency assessment. Steve has an extensive career in public sector highways that now sees him providing strategic advice on transport and infrastructure matters to both Cheshire West &amp;amp; Chester Council and the Cheshire &amp;amp; Warrington local enterprise partnership. Immediately prior to this, Steve was director of localities for the council, where he managed a range of environment-related services. In addition to his substantive roles, Steve has been involved with the Department for Transport’s Highway Maintenance Efficiency Programme (HMEP) since its inception in 2010. He represents north west local authorities on the HMEP management board and leads projects on leadership, networks and benefits realisation. He joined the County Surveyors’ Society (later to become ADEPT) in 2005, when he was county engineer at Cheshire County Council. 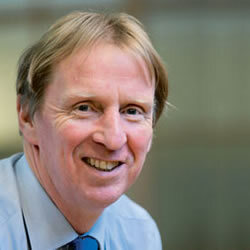 Donald is a Chartered Engineer and Member of the Institution of Civil Engineers. After graduating from Strathclyde University in 1987 Donald worked in highway design and contract management with Babtie Group before joining the Scottish Executive in 1999. 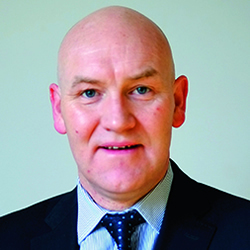 He has worked in various roles including Area Manager and Network Manager before the creation of Transport Scotland as an executive agency of the Scottish Government in 2006. Donald is currently responsible for the Asset Management, Procurement and Engineering Services functions which support the management and maintenance of Scotland’s 3,500 kilometre trunk road network. This includes the contract development, procurement and commercial aspects of Transport Scotland’s Trunk Road Operating Company Contracts and responsibility for the Performance Audit Group commission. Donald leads the asset management strategy, policy and plans for the trunk road network including the budget management of the £250 million annual maintenance spend. In addition he also has responsibility for Technical Standards, Road Policy, Management Information Systems and Research. 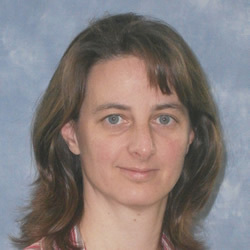 An experienced scientist and manager, Dr Helen Viner joined TRL in 1997 as a researcher after two years of post-doctoral academic research. In January 2013, she was appointed as chief scientist for the infrastructure division, a role that includes developing collaborative research partnerships, preparing proposals for research funding, oversight of technical quality, and communicating TRL’s activities internally and externally. >She is the UK research coordinator within FEHRL (the Federation of European Highway Research Laboratories) and the research area leader for energy, environment and resources. In her own specialism, Viner has worked extensively on the surface characteristics of road pavements, being responsible for innovative research and developing associated advice and standards. Her experience includes tyre-road interaction (friction, splash/spray, rolling resistance and noise), accident trends, performance monitoring and, latterly, the adhesion properties of railways. George is a member of the Institute of Directors (IoD), the Institute of Environmental Management and Assessment (IEMA) and the Association of Industrial Road Safety Officers (AIRSO); he has a BA in Public Policy and has a Post Graduate Diploma in management. 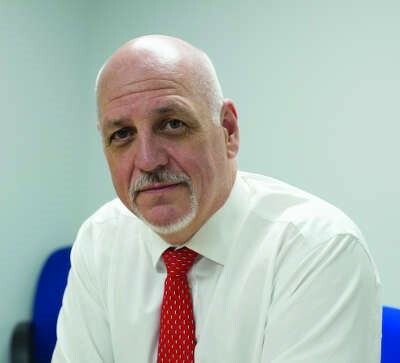 George has led the RSMA since 1997, growing it into the largest specialist trade association in the UK highways sector and developing the wide range of support services that it offers to its members today. He has been responsible for the development of the association’s business support services and training portfolio which includes outsourced professional services and a broad range of NVQ qualifications, specialist apprenticeships and bespoke industry focused training. George initiated the development and management of the association’s National Highways Academy (NHA) brand, which has recently been expanded to cover NHA Training, NHA Events and NHA Accreditation Services. In his career prior to RSMA, Lee worked for a major political party in campaign organisation and management in addition to two years as head of policy and research for a group of Chambers of Commerce. 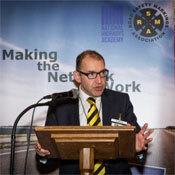 As the “eyes, ears and voice” of the RSMA, representing, lobbying and liaising with local, national and international organisations, he frequently presents on road marking and safety issues on behalf of the RSMA and the European Union Road Federation (ERF) at international conferences whilst also being a member of national and European standardisation committees as an industry and sector expert. From 2009 to 2018 he led the Bookmakers’ Committee, a statutory body parented by the Department for Culture, Media and Sport, and the National Pawnbrokers Association. He represented both organisations at the highest level in commercial, political and public sector environments across a wide variety of government departments, agencies and industry. Prior to this he was a senior officer in the Royal Air Force, where he worked in programme management, strategic policy, regulation/governance and leading-edge technology.